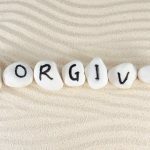 Forgiveness is something taught to us by God in a very clear way and the theme is present on many occasions by history in our relationship with the divine. In the psalms of the day, for example, He is always teaching us to forgive, and our comings and goings are a good example of how we are willing to learn from mistakes, to forgive, and to be forgiven. Psalm 51 is the best choice for this matter. In the main prayer taught to us, we clearly find the reference to mutual forgiveness as a means of finding peace. Sometimes it is really difficult to forgive, but this only makes the act even more noble, and it must be something always stimulated in your life. To forgive and to be forgiven teach not to keep grudges or rancor, a feeling that will only bring negativity and anguish. With the power to reorganize and heal the afflictions of body and soul, the psalms of the day are indispensable readings of the most powerful and complete biblical book. Each of the psalms described has its own purposes and, in order to become even more powerful, enabling its goals to be fully attained, the chosen Psalm should be recited for 3 days minimum and up to 21 days in a row. To attain forgiveness and forgive others, you can use the powerful reading of Psalm 51, which calls for the mercy of the sins committed, accepting and admitting the weakness of the human being, as well as their repentance for failures. In addition to forgiving being an attitude that requires a lot of understanding of yourself, there is also the problem of having to ask for forgiveness. Asking for forgiveness is not easy and requires, above all else, recognition that you do not have reason in one point or situation and then make your retraction to the next. After all, we all err and we must learn to forgive, as well as having the ability to recognize mistakes and ask for forgiveness. Psalm 51 aims to bring forgiveness to the dialogue with the divine, being its theme precisely about the great mercy of God. With sincere faith and repentance, chant the Psalm and ask earnestly for forgiveness of yourself or your neighbor.